We are happy to offer the fantastic Big Stuff Playset Lifetime Big Stuff Adventure Play set, Freestanding. The 90137 is the primary color version on the 90142 is the Earth tones version. With so many on offer today, it is great to have a brand you can recognize. The Lifetime Big Stuff Adventure Play set, Freestanding is certainly that and will be a great buy. For this great price, the Big Stuff Playset Lifetime Big Stuff Adventure Play set, Freestanding comes widely respected and is always a regular choice amongst many people. Lifetime has provided some excellent touches and this equals great value for money. Are your kids ready for a big swing set? Lifetime’s Big Stuff Adventure set takes just a couple of hours to set up, but provides kids with years and years of safe outdoor fun. For the best in big Lifetime swing sets, you'll get top quality construction and design with Lifetime's Big Stuff Adventure. For residential use only. Assembly takes approximately 6 to 8 hours. For more information about assembly, read the Owner's Manual Sample. 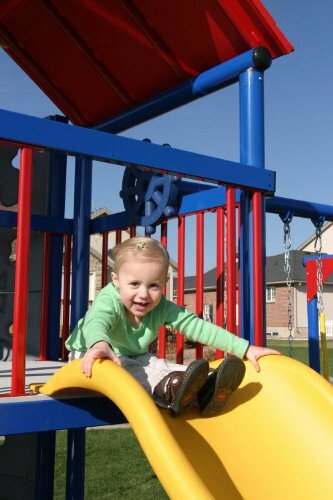 For information on adequate playground surfacing for various fall heights, refer to page 11 of the Handbook for Playground Safety pertaining to Playground Surfacing by the Consumer Product Safety Commission. View YouTube Video "Lifetime Basic Swing Set"
View YouTube Video "Lifetime 90137 Primary Colors Heavy Duty Metal Playset with Clubhouse - Epic Swingset Reviews"
A-Frame Playset is the perfect way to get your kids having fun and involved in physical, healthy activities. This playset features a clubhouse, swing set, 3-D climbing wall, 9' wavy slide, and plenty of activities to keep your kids and all of their friends entertained and having fun. You’ll have a hard time getting the kids off of this one. 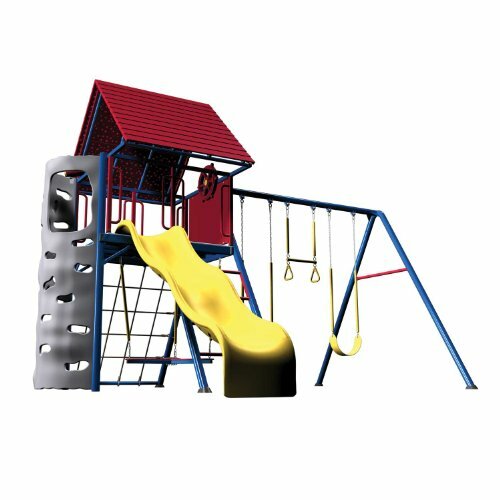 Also view our Lifetime Double Slide Deluxe Playset (Primary Colors) and Lifetime Double Slide Deluxe Playset (Earthone Colors) on our parent website. We have had our play set for years and it is still in pristine condition! The caps on the corners prevent bees from getting inside and building nests to sting the kids. The rope net is awesome and the kids love playing pirates on it. Wonderful lifetime play set! 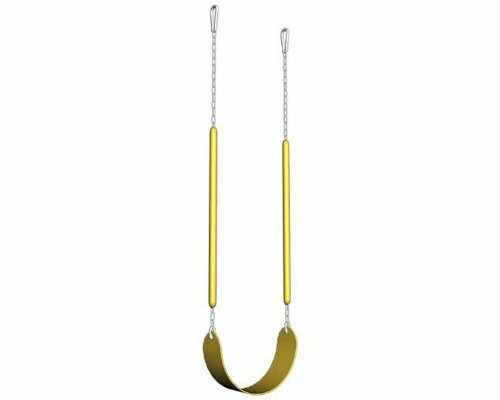 90137 Lifetime swing sets on CEP.